ATTENTION: This list is from October 2011. 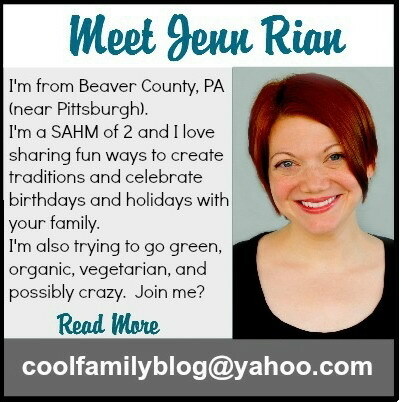 For the detailed 2012 list go here or check my LOCAL: Beaver County, PA page for a “quick list” of all events. *New events that have been added since the original post on 9/30 will be in red text until the event is over. This should make it easy to scroll down the list to find new events. 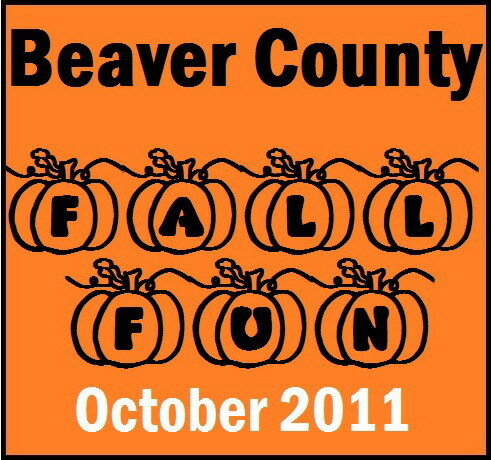 Bring the family over to Beaver Valley Mall for a scare-tastic good time at the Beaver County Humane Society Beastly Haunted House. Proceeds benefit the Beaver County Humane Society shelter fund. Phantom Fright Nights is not recommended for children under 13. You’ve been warned! So close but still so far away. Breathtaking views with gorgeous scenery in remote Armstrong County. Come out and see Mother Nature at her finest. All done at a pace to enjoy. Take a quiet and relaxing horse drawn tour with family and friends. No lines to wait in and no crowds. All outings are private by reservation only. Parties of up to 12. Weekdays as well as weekends. Don’t forget your camera. Fri-Sat 10 -1~Clowns, balloon sculptures & face painting, Sat 1-4~Fall Bake Sale: Sat-Sun~ Sample all of your favorite fall foods & spiced cider. Edgewood Baptist Church – A Free Fun Filled Day for the whole family! Hay Rides…Fire Truck…Pony Rides…Fall Games…Bounce House…Hot Dogs….Soft Serve Ice Cream Cones…. 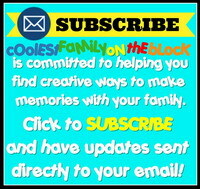 Crafts….Contests and much more! St. Elijah Serbian Orthodox Church, 2200 Main Street, Aliquippa. The Mt. Pleasant Township Volunteer Fire Company is located approximately 25 miles southwest of Pittsburgh in Washington County. Old Economy Village, 270 Sixteenth Street, Ambridge. Ages 21 and older. $40. All ages. Spectators $4; children 6-12, $2; children under 5 free. 10AM-7PM KIDS GAME ACTIVITY ALLEY!! Talented crafters with a large selection, local entertainers and craftsmen, local Boy Scout Troop provides great food, not to mention our own tasty apples and farm products. Choose your perfect pumpkins and fall decorations, great apples, cider, donuts, fruits, vegetables and much more. And don’t forget the donuts and cider slushies! The Lodge at Bradys Run Park, Brighton Township. Ages 18 and older; under 18 must be accompanied by an adult. $55. A Community Day is planned for Saturday, October 15 at Hardy Field in cooperation with BTSA’s “Halloween Cup”. The day will be filled with soccer games, food concessions, raffles, crafts, kid’s rides and attractions for the whole family. An easy hike to enjoy the autumn foliage through the park and then drive a short distance to the lovely Woodward’s Apple Orchard. You may pick your own pumpkins or apples fresh from the farm. Enjoy a taste of apple and pumpkin desserts. Fresh apple cider served. Call Julie at 412-255-0564 for further information. Sit by the fireside as ghost stories of Beaver County are told. You will have the opportunity to report your ghost tale to the International Parapsychology Research Foundation. Two guided sessions from 9-midnight will explore the paranormal activity at the Mansion. Fee for guided session. Call 724/775-1848 for information. Venture through the Zoo collecting great candy, enjoying the animals, and participating in other fun activities along the way. Stop by your favorite haunts – Gymkhana’s Haunted hideaway and the not-so-spooky train ride. Conjure up a frightfully fun costume for the Halloween Parade and Costume Contest at Water’s Edge. 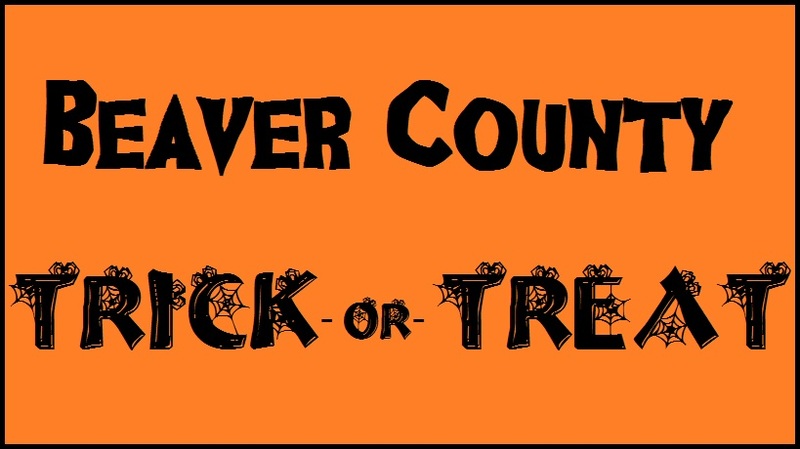 Make a deliciously sweet treat at Casper’s Craft Corner or get spooked at the Docent Council’s Haunted House. Trick-or-Treat bags (distributed until 3 p.m) provided to all children 13 and under. Costumes not required. Bring your friends and neighbors and join us. Crafts- Games- Prizes Pumpkin Decorating- Hot Dog Roast. For kids of all ages. Save the date for a spooky night at Ross Park Mall’s Halloween Event on Thursday, October 27th from 6-8 p.m. Don’t forget to wear your Halloween Costume and to bring your Kidgit Card! If you would like to participate in the event, there is are sign up sheets being circulated for those who would like to decorate their VEHICLES or help inside the Fellowship Hall for serving food, games and activities, or to clean up. Also, there will be a need for food and supplies, and, of course, monetary donations would be helpful. The New Brighton Area Recreation Commission will be sponsoring their Sixth Annual Halloween 5K. The event begins and ends at Big Rock Park. Registration forms for the event are available online on the Recreations Commission’s website, www.nbarc.net. I will be adding more trick or treat dates and times as information becomes available. The dates listed below have been confirmed on their websites. A post with dates and information on fall festivals at the following farms and orchards will be coming soon!